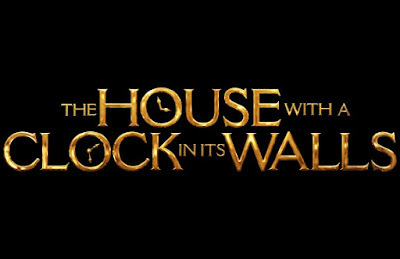 Read Anthony's review of The House with a Clock in its Walls. In the tradition of Amblin classics where fantastical events occur in the most unexpected places, Jack Black and two-time Academy Award® winner Cate Blanchett star in THE HOUSE WITH A CLOCK IN ITS WALLS, from Amblin Entertainment. The magical adventure tells the spine-tingling tale of 10-year-old Lewis (Owen Vaccaro) who goes to live with his uncle in a creaky old house with a mysterious tick-tocking heart. But his new town’s sleepy façade jolts to life with a secret world of warlocks and witches when Lewis accidentally awakens the dead. A young orphan named Lewis Barnavelt (played by Owen Vaccaro) aids his magical uncle (played by Jack Black) in locating a clock with the power to bring about the end of the world. Oh so many flaws and oh so little time. So we’ll start with the script. It seemed like the script was rather lazy than anything else and they played into some rather cliche lines. From the over dramatic “It was the last thing my parents gave me before.. The car accident” (cue crying scene) up to “I taught you everything you know.. Not everything I know”! With lines like these it’s hard not to cringe at least slightly when they’re just thrown around willy nilly because you don’t know how to put together a decent script. But to use a line like that you need actors to be able to back it up. With that being said the acting was also rather subpar. With Owen Vaccaro (known for Daddy’s Home 1 and 2) playing the lead I was rather disappointed with his performance. Whenever he had to convince another character to do or believe anything the only word that comes to mind is unsatisfactory. Another, yet not as bad, unsatisfactory performance came from our beloved Jack Black. Of course he was to be the main comedic focal point and boy oh boy was he. It seemed like he was just throwing every single joke he could think of at the wall to see if any of it would stick. Now I’ll admit he had a couple decent funny moments. But they were few and far between and typically relied on another character as a punch line. Cate Blanchett (known for roles in Lord of the Rings and Carol) was the only one who really did a decent job. She was able to sustain the role of a broken mother who lost her child and found her love again in the new boy brought to the house. Another issue I had with the film was the flow of it all. Or more like the lack of it. Every time something new happened it just kinda.. Happened. 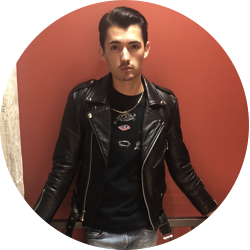 There wasn’t much rhyme or reason as to why the mother reappeared, or why Uncle Jonathan and Lewis started to talk about Jonathan running away from home. It was one of those movies where at almost every turn I felt like I was saying “well now we’re doing this.. Okay now we’re doing that”. There was also a rather strange cookie motif.. Meaning that for whatever reason whenever Lewis needed to be comforted or have his hand held in any way chocolate chip cookies were handed out. The significance of the cookies are beyond me and were honestly more of a distraction to the rest of the movie than anything else. The movie was also a lot scarier than I had expected it all to be. This was marketed as more of a comedic children's movie with some spooky themes but overall it was a lot darker than any trailer had lead onto believe. To further that point I was surprised to find out that this movie had only a PG rating with how often they used words such as “damn” and “hell”. Now no it wasn’t thrown out with every other line however I was just very surprised that the words were used as often as they were. Now while this movie wasn’t by my standards a “good” movie, that doesn’t mean it’s not watchable. It is still a very fun kids movie that will be sure to keep the young ones entertained while probably giving them a liiiittle bit more of a scare factor than expected. 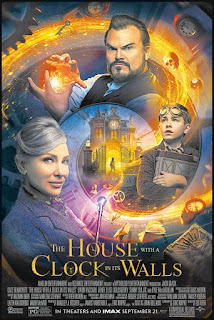 This is a great movie to take the family to with the upcoming Halloween season so go watch A House With a Clock in its Walls while you still can!